Theriault is smiling a lot these days. With the help of CBDC, he created the Safeguard Protection Agency, a firm that provides a variety of security services. Theriault and his staff do everything from home checks and providing security at small events, to keeping watch over businesses and educational facilities and standing guard at fire scenes. It all started four years ago when Theriault had his sights on becoming a member of the Royal Canadian Mounted Police. In order to get some preliminary grounding, he enrolled in the police foundation course from Ravensberg College in Halifax, NS. To make ends meet, he worked part-time for several security companies. By the time he graduated, he not only had learned a lot about police work, he had also learned a lot about the security business. When Theriault returned home to Weymouth, knowing that there wasn’t a business offering security services in the region, he decided to assess the level of interest. This confirmed the notion of starting a business. In January of 2011, he contacted CBDC. Three months later, he was up and running. Equally amazing is the fact that Theriault is only 22 years-old yet he employs four people full-time and nine part-time and his business in still in its infancy. 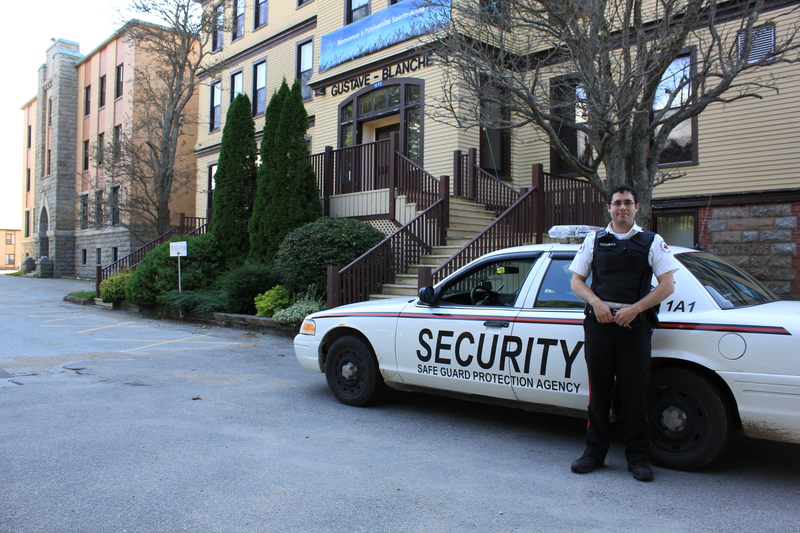 The young entrepreneur says he learned a lot by working for those large security firms in Halifax. For three years he made notes knowing that if he ever was “the boss,” he would do things differently.